These committees perform functions that are integral to maintaining and nurturing the PTA as an organization, and to broadening NHEES and OVES reach into larger communities. In some cases, one or two individuals can perform the duties of these committees; others require the work of many volunteers. For more detailed information on this position see our local PTA bylaws. Perform such other duties as may be prescribed in the bylaws or assigned by this local PTA or by the board of directors. Recruit and support committee chairs for key fund-raising events. Recommend changes to fundraising objectives and strategies at NHE/OV. The membership committee recruits new PTA members and keeps the NHE/OV community aware of the PTA and its functions throughout the year. The committee maintains a current list of members. The membership committee is busiest in the beginning of the school year when new members are being recruited and returning members are re-registering. For each membership drive, develop a letter for NHE/OV, recording membership names. Collect, count and deposit money with treasurer. Organize a PTA membership table at all PTA events and recruit volunteers to help at table. 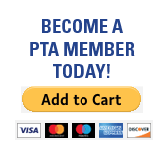 Attend monthly PTA meetings, and attend Delegates’ Assemblies held at the Carver Auditorium on the fourth Tuesday evening of every month during the school year (see http://www.mccpta.org for more information). Serve as a link between the PTA council and the local PTA, and share information about what is happening across the school system with the members of the PTA. Bring the perspective of the PTA members to the discussions at the county level. Supports the PTA through fundraising activities which provide the PTA with its operating budget. An annual plan is submitted for review and consensus by the executive board. The committee is responsible for, but not limited to, organizing, advertising, and running the major fall fundraiser, Cherrydale Farms and Bingo Night. Takes pictures of all PTA functions, creates a album, maintains albums on regular basis, and displays all the albums at the meetings. The coordinators collect and maintain a database of PTA members who are willing to volunteer at NHE/OV. Recruiting volunteers requires collecting information in the beginning of the year, including names, emails, phone numbers, etc. Sign up forms should be handed out at the school’s open house and sent home in Backpacks. The committee maintains an updated list of volunteers, keeps the volunteers informed of school and PTA needs, and connects volunteers with needed services. The volunteer committee also works with the staff volunteer coordinator and keeps track of volunteer hours so the total number of hours per person. Representative works with NHE/OV PTA and other Montgomery County NAACP Parents Council Representatives for the purpose of training other parents to be advocates, sharing information, and resolving problems that impact the education of their children. Attend monthly meetings of the NAACP’s Parents Council. Two Coordinators will work together to organize a Appreciation Luncheon for both schools. Responsibilities include; Set a date for each school for their Luncheons, Solicit food donations and volunteer help 3-4 weeks ahead of event, Oversee set up and clean up on day of event. Coordinate the used book sales to stimulate interest in books as well as to raise funds. Schedule volunteers for set-up and break-down, preview days and sale days and both NHE and OV. Solicit volunteer to bring/donate package treats for sale and set date(s). Schedule volunteers for sale day. When: November or can plan a regular bake sale anytime of the school year. Committee coordinators will organize and oversee volunteers/stations and plan the annual PTA Spring Carnival. Duties include: communicating/publicizing event, communicating with vendors, recruiting volunteers, and planning carnival games. This is a family event that includes table displays of family heritage or places family hope to visit one day, with sample food of that country, and entertainment. Main duties: Send out flyers soliciting family displays and confirmation to have an idea how many tables to set up, booking and confirming volunteer ethnic dance performers. Morning of event, set-up and decorate the All Purpose Room. Clean Up.